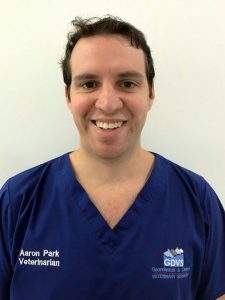 Aaron joined the GDVS team in January 2018, having recently graduated from the University of Queensland. He has moved from Toowoomba with his wife Lauren, son Bernie, and dog and cat Diddy and Amazon. Aaron looks forward to extending his large animal knowledge, and being an enthusiastic member of our trivia team.